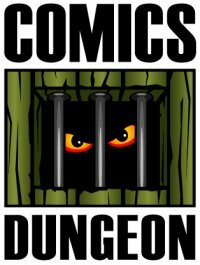 This week on the show, we get some “shameless self promotion” business out of the way right quick, where we encourage all of our listeners to visit: Comics Dungeon for Free Comic Book Day; Annex Theatre for Puny Humans; and West of Lenin for The Panel Jumper **Live** Chapter 2!. We also talk about whether or not we’ve passed Peak Comic Book movies. Have we been too saturated with movies based on comic book characters lately, and if (or when) the bottom will drop out of that particular market. We also touch on comic books that are so bad they’re good. What would YOU consider “The Room” of comic books. We’ve come up with ours – let us know yours in the comments.